ProX™ 800 | 3DSystems - Orlas CREATOR – ATO Lab – Drukarki 3D - 3D Lab Sp. z o.o. 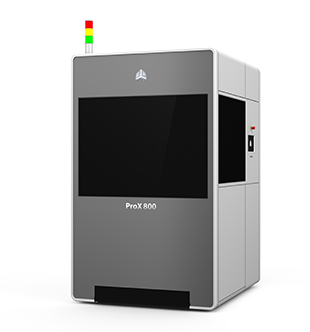 The state-of-the-art ProX® 800 uses SLA, the most advanced plastic part 3D printing technology for printing the highest precision, highest resolution, lowest cost and highest throughput across the widest range of applications for prototyping, end-use part manufacturing and rapid tooling production.